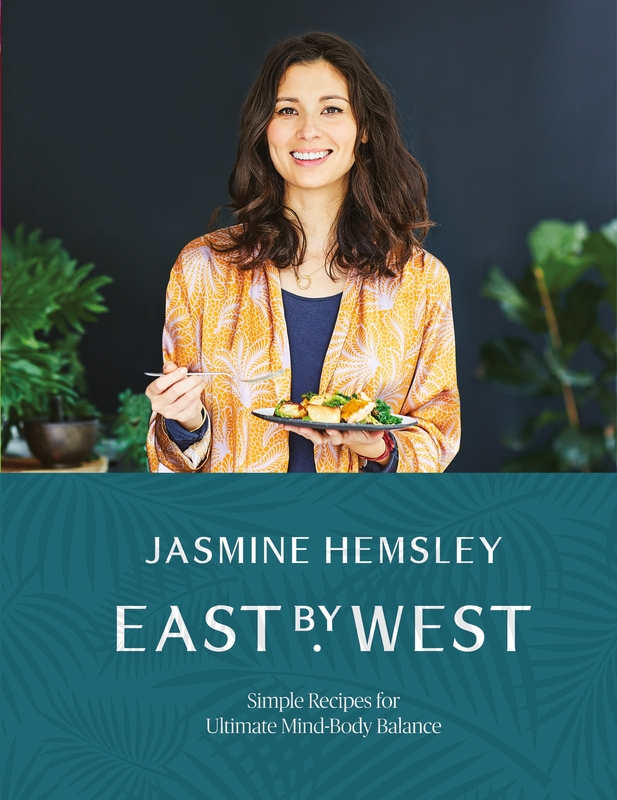 East by West is the first solo cookbook from bestselling author, cook and TV presenter Jasmine Hemsley, co-founder of Hemsley + Hemsley. 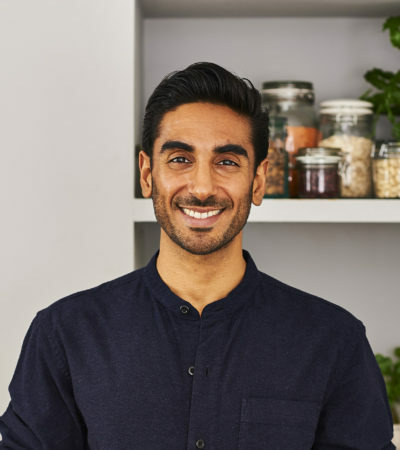 Featuring 140 delicious recipes from around the world, East by West champions the ancient Ayurvedic philosophy of eating to nourish, sustain and repair for ultimate mind-body balance. 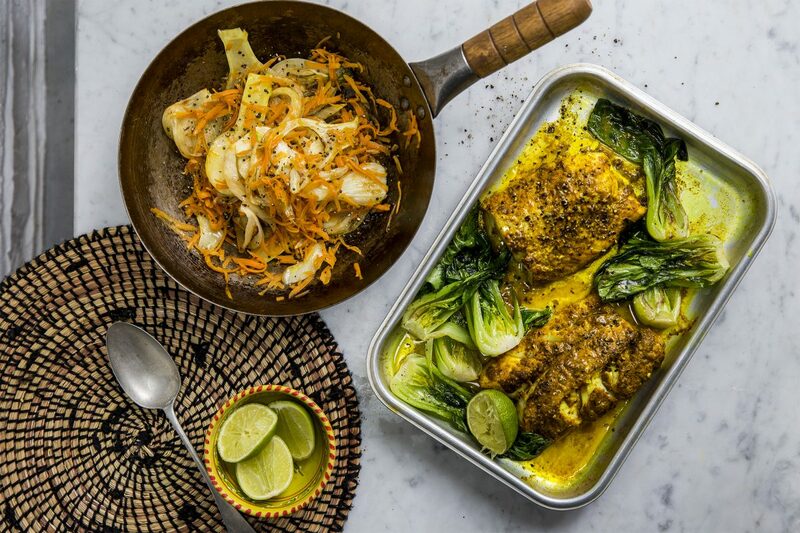 Here’s a sneak peak at her Turmeric Tikka Fish Stir Fry! Mix the ginger, turmeric, garam masala, black pepper, salt and cumin together. Combine with 1 tablespoon of ghee and the juice of lime to make a paste, adding ½ to 1 tablespoon of water if necessary. Coat the fish in the paste and marinate in the fridge for at least 2 hours or overnight. 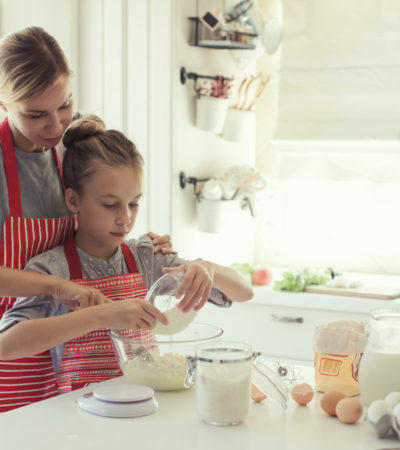 When you are ready to cook, bring the fish to room temperature. Preheat the oven to 180oC (fan 160oC/gas mark 4). In a large pan, melt 1 tablespoon of the ghee over a medium heat and sear the pak choi until golden, then season with a little salt and pepper and set aside. 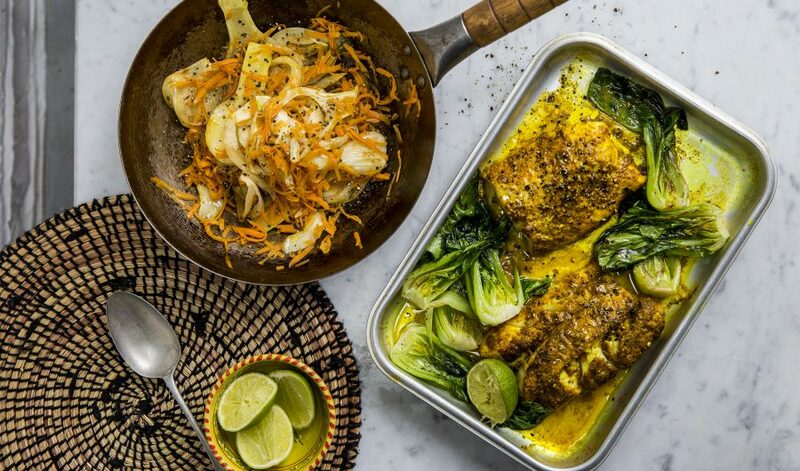 Place the fish on a baking tray and bake for about 15 minutes or until the fish is cooked, adding the pak choi for the last 5 minutes. 5 Meanwhile, melt the rest of the ghee in the same pan, if needed, and sauté the fennel. When it is lightly browned, add the mustard seeds and cook until they start to pop (be careful not to let them burn and become bitter). Add the carrot, season and stir-fry for a few minutes, until just tender. Plate everything up and squeeze over the juice of lime. Easy by West (panmacmillan) is out now. Click here to buy a copy!